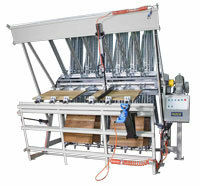 Our Standard Clamp Carriers are ideal for the small- to mid-size, cost-conscious cabinet, furniture or millwork shop. 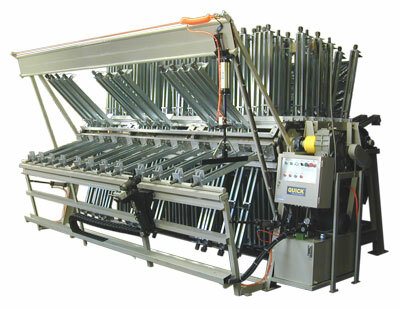 Our Standard Clamp Carriers are the most feature-rich and most cost-effective Clamp Carriers in the industry. For more information on our Standard Clamp Carriers, please click on the image to the left. Our Heavy-Duty Clamp Carriers are ideal for the high-production woodworking shop, or for any shop that is gluing extra-long or extra-heavy stock. Our Heavy-Duty Clamp Carriers are the heaviest and strongest machines in the industry, and feature either Pneumatic, Hydraulic or Fully Automatic Clamp Tigtheners. For more information on our Heavy-Duty Clamp Carriers, please click on the image to the left.